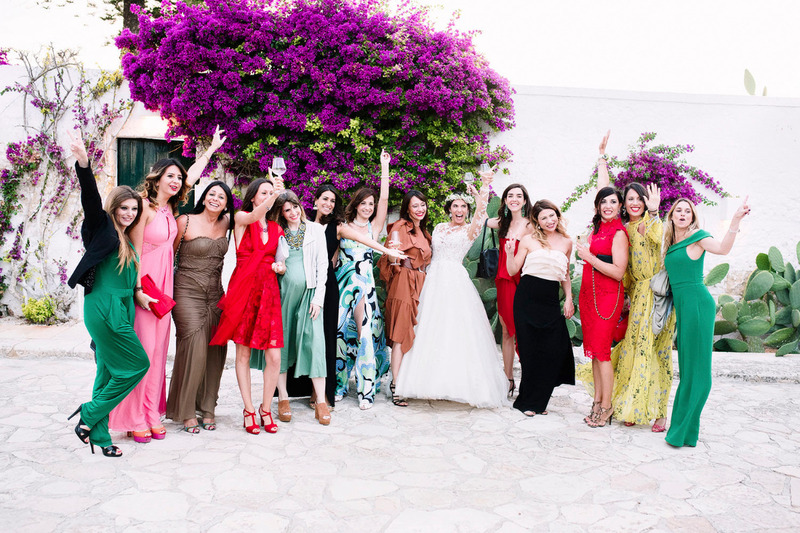 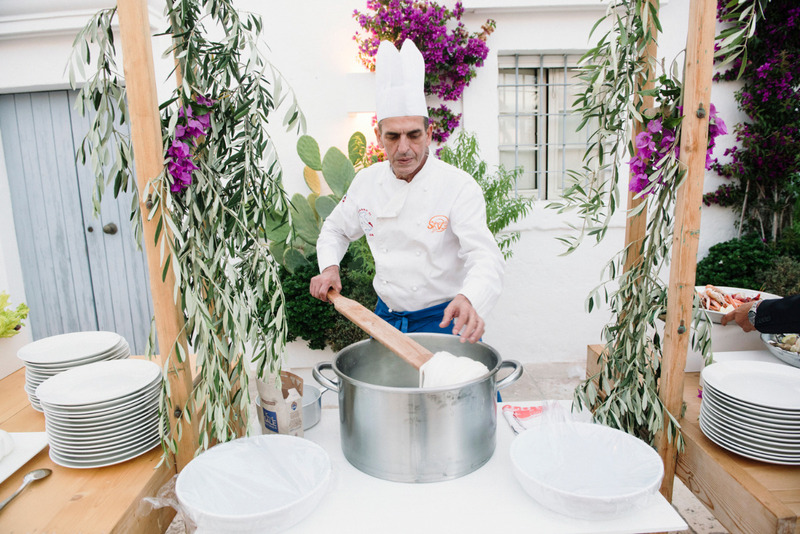 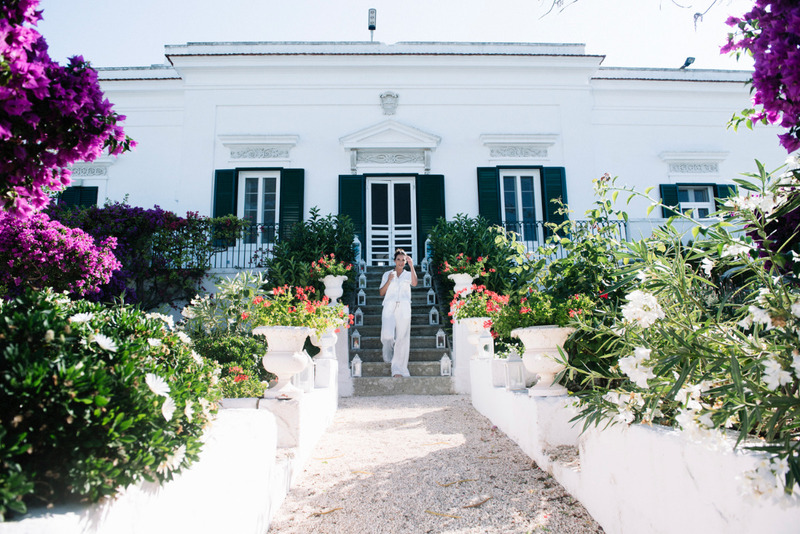 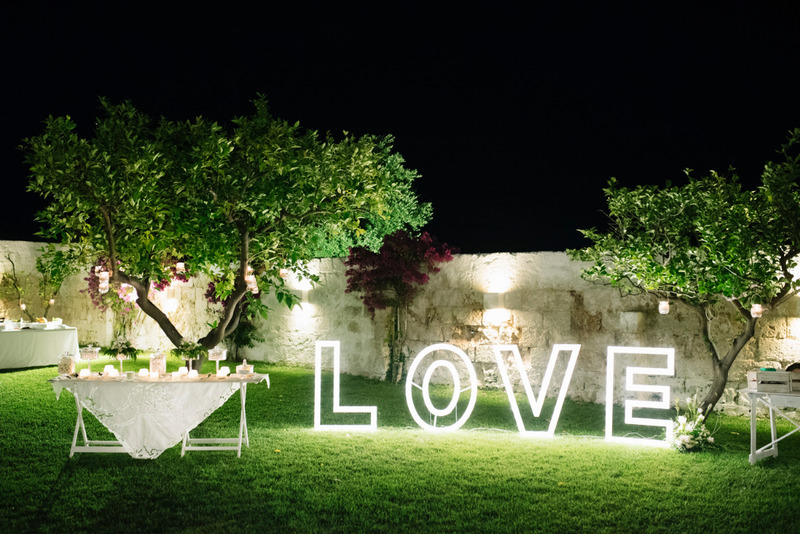 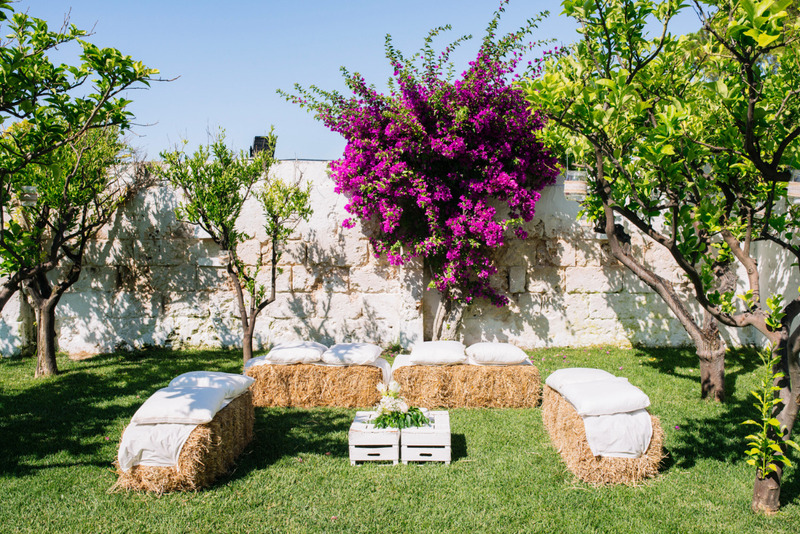 Luxury is served at this quaint and historic wedding venue in Southern Italy. 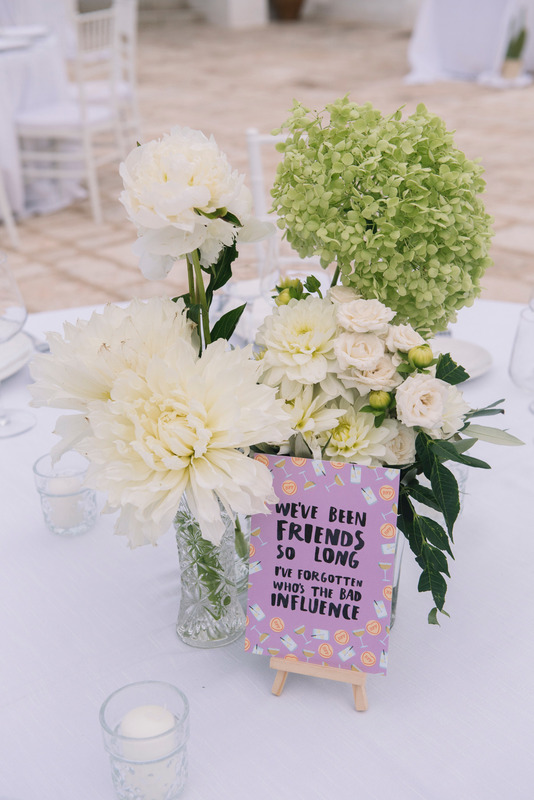 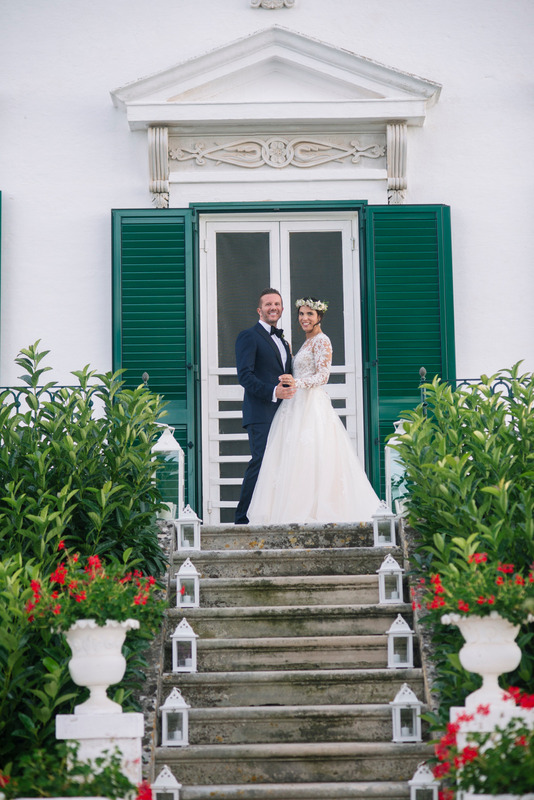 Originally farmlands that were turned into beautiful summer homes in the 1800's; this whole estate now hosts fabulous events much like Elenora and Alberto's wedding day. 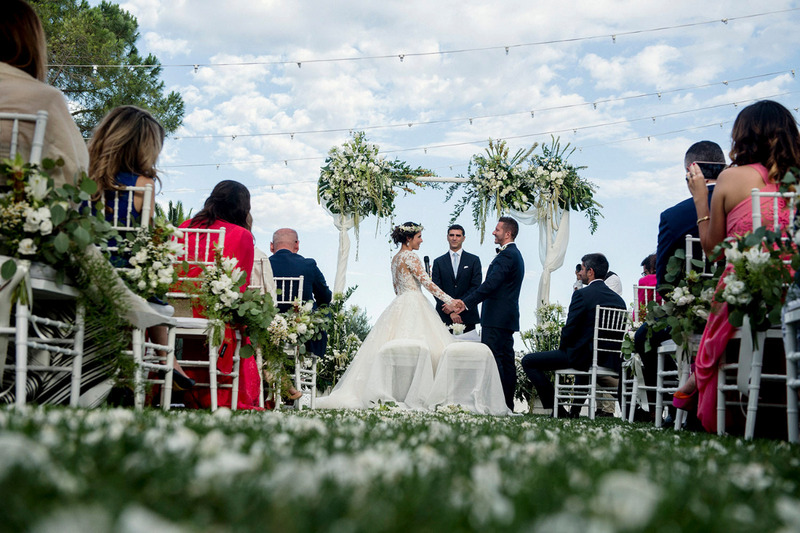 And what a lovely wedding day it was. 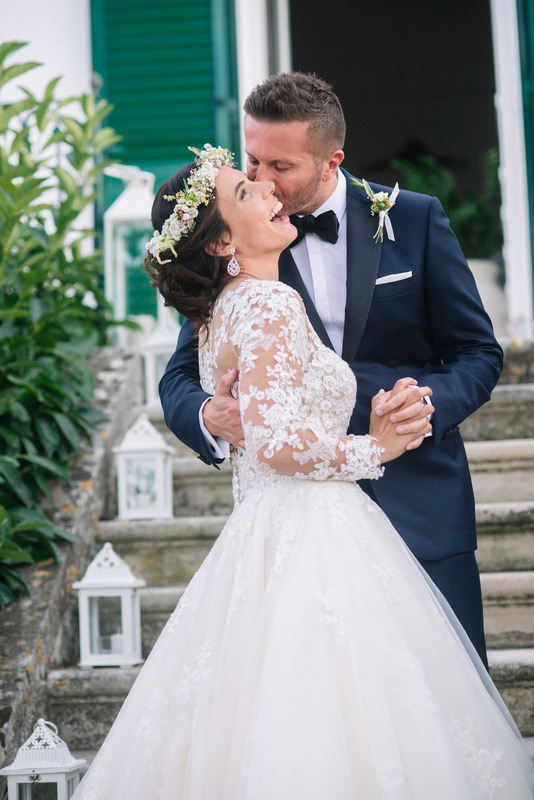 Smiles were on everyone's faces, and the bride and groom looked to be having THE BEST day of their lives! 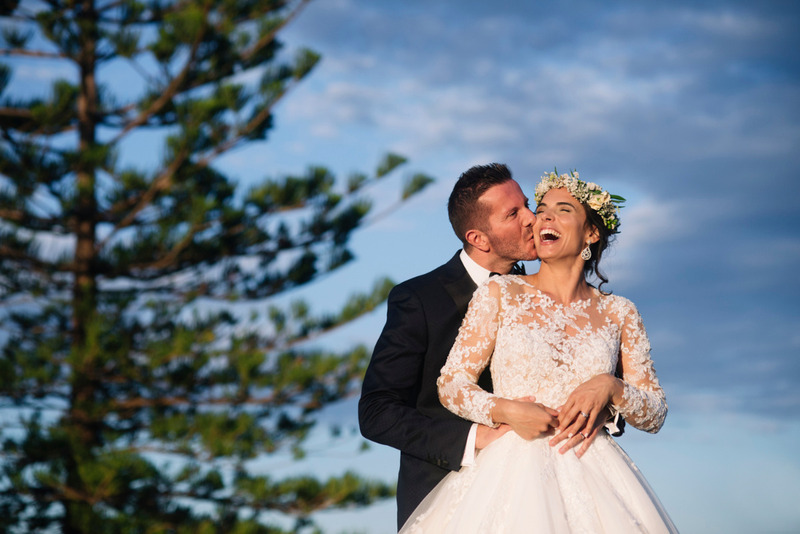 You will want to take in as much of this heartwarming wedding day as you can, so be sure to stop by the full gallery to find more of the photos from Framelines. 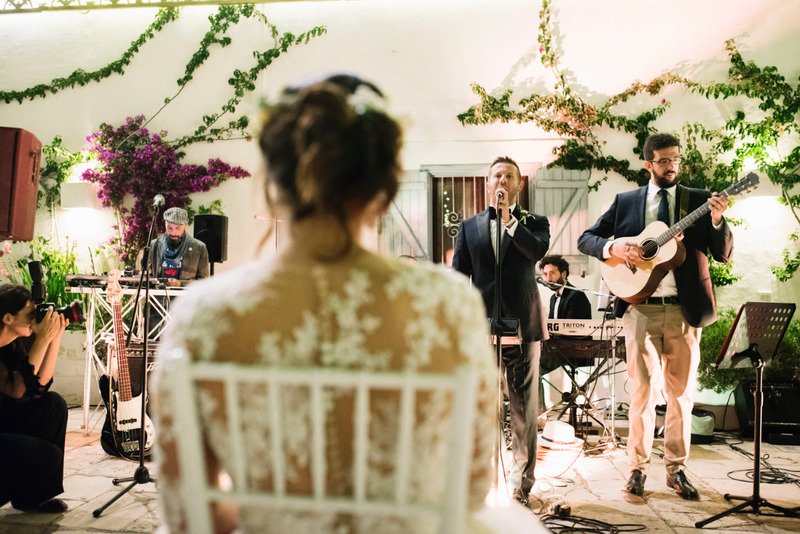 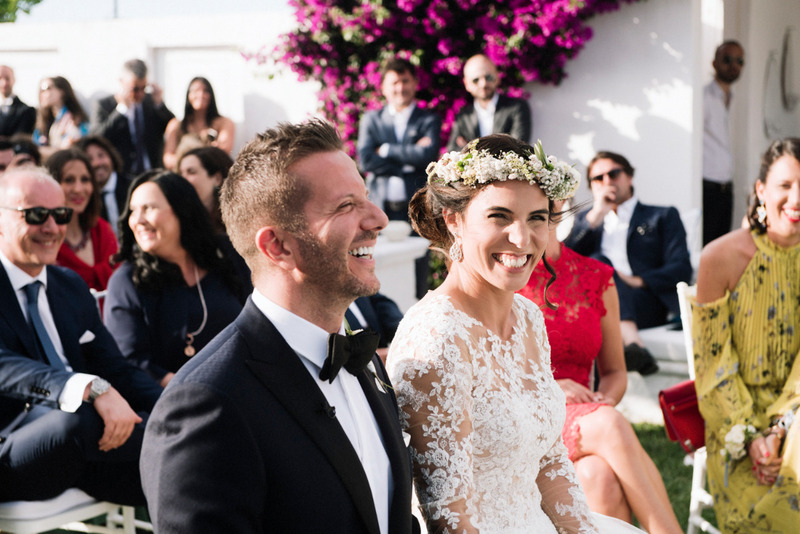 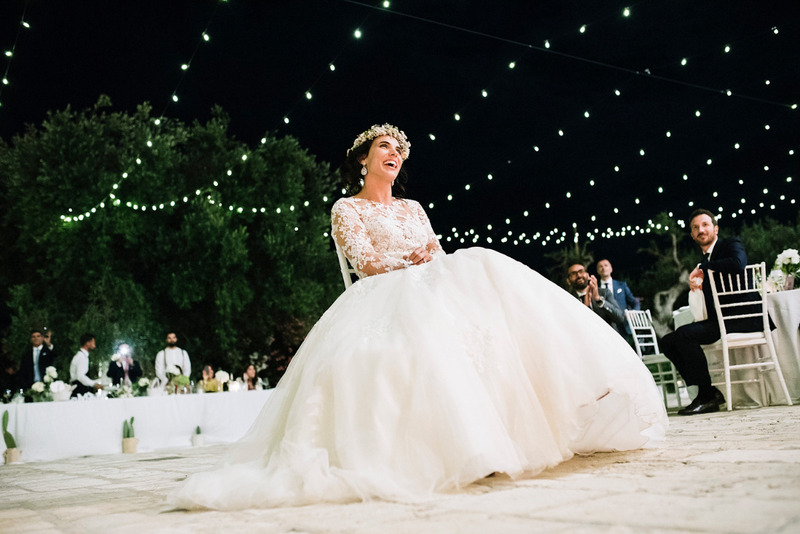 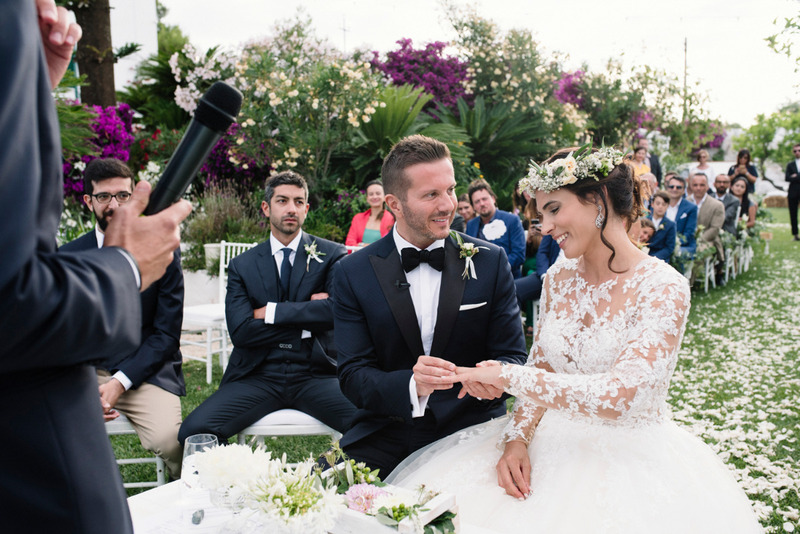 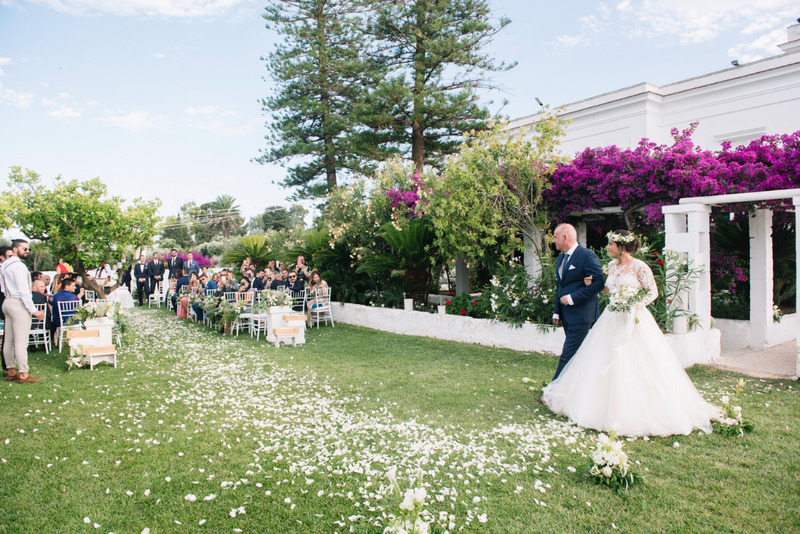 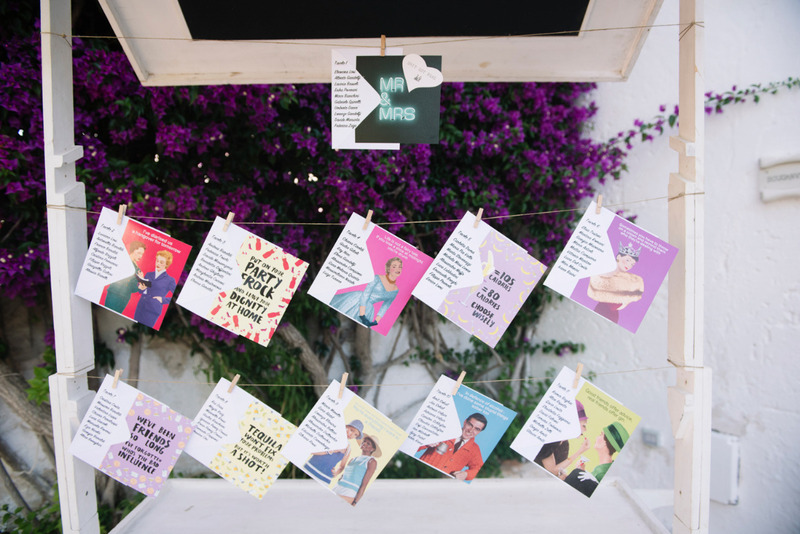 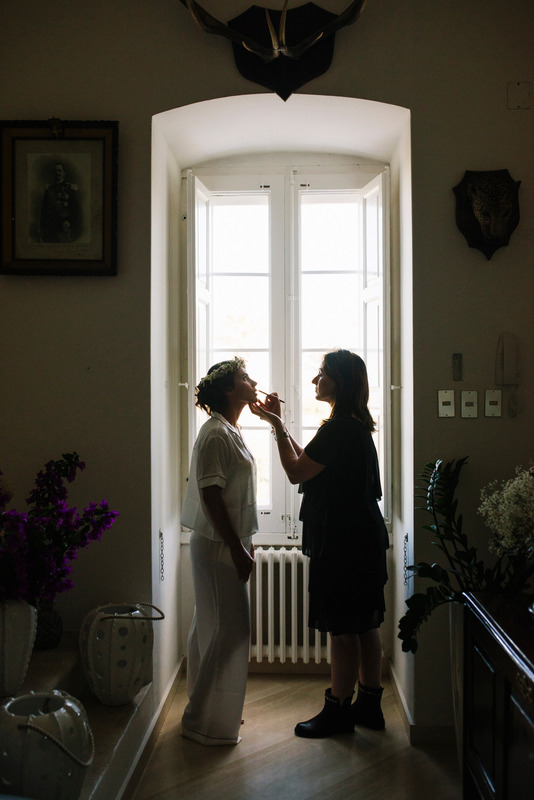 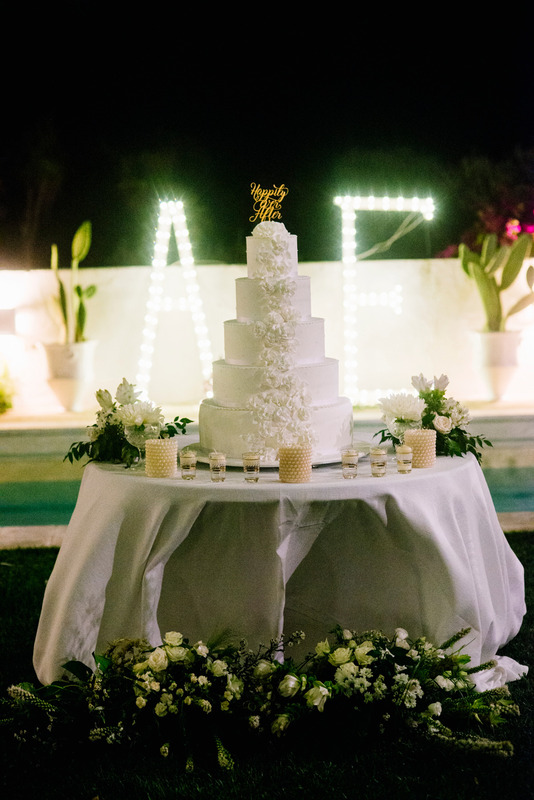 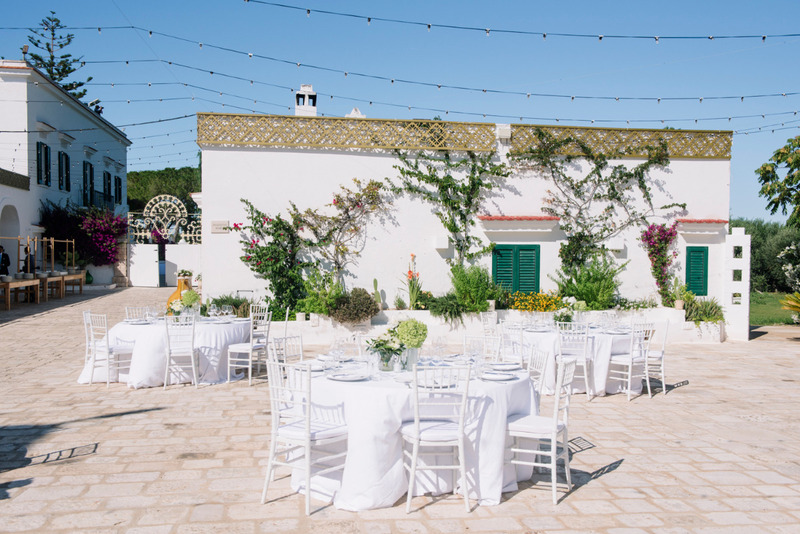 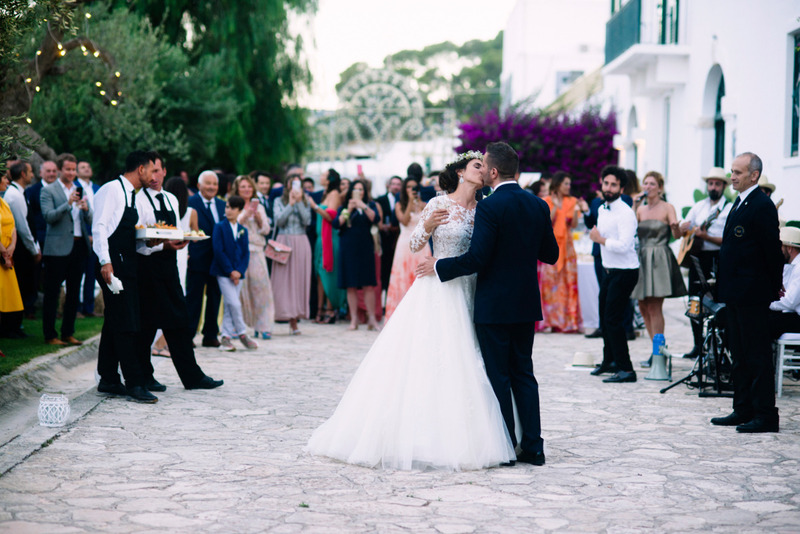 Eleonora and Alberto are an Italian couple living in the UK with a clear idea in mind: planning an outdoor wedding in Apulia inside Masseria San Nicola Savelletri – a secluded Apulia paradise. 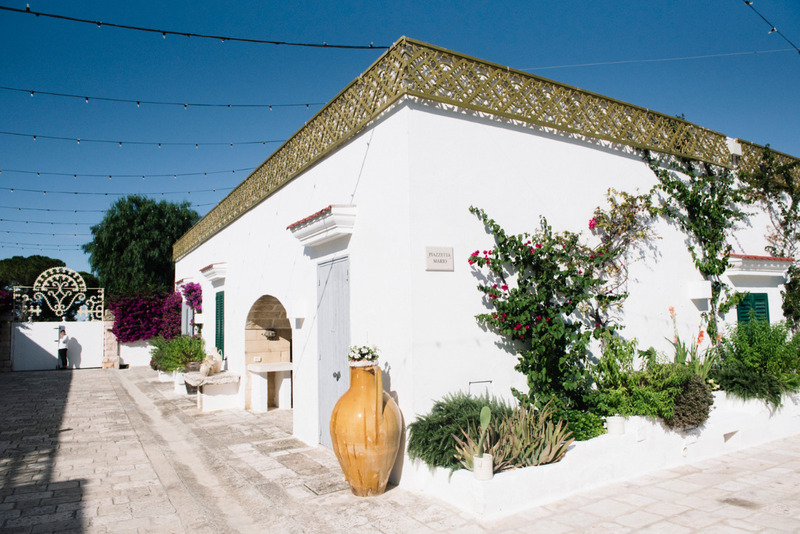 The historic Masseria San Nicola Savelletri, immersed in a 100-year-old olive grove, dates back to 1600 when it was first built by the Prince of Carbonelli, and, from 1800, it was the private residence of the Camicia family. 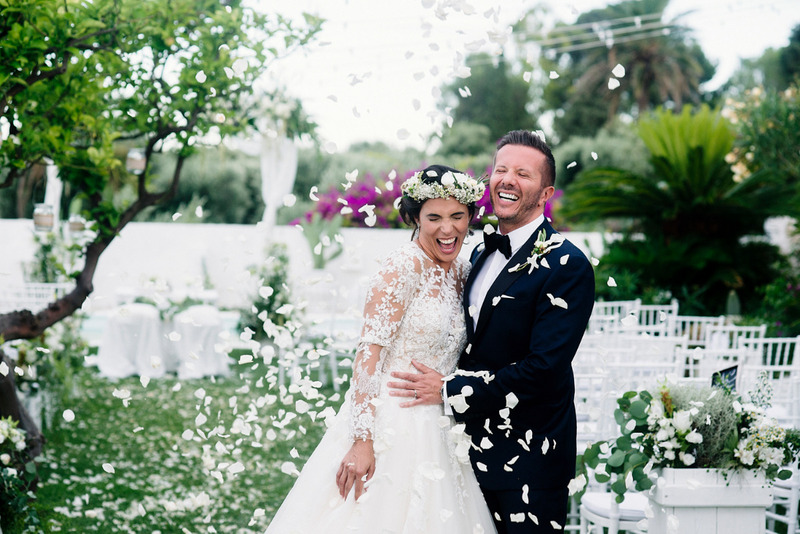 Eleonora looked absolutely stunning in her Pronovias princesses style dress ( “Drizana” – 2017/2018 Collection), which was with a two-piece effect and richly embroidered with classy details. 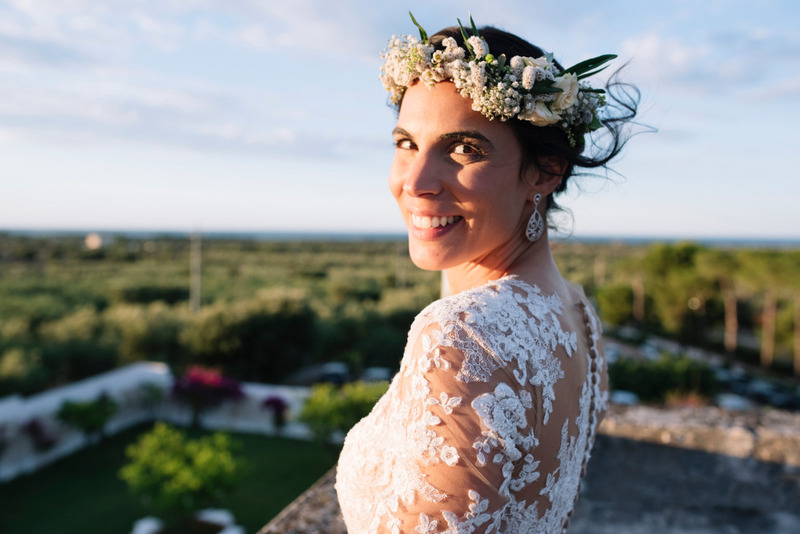 Instead of a traditional veil, Eleonora wore an exquisite white flower crown that was created by AnnaLori Blasi – a professional flower design team who took care of all the greenery and flowers arrangements. 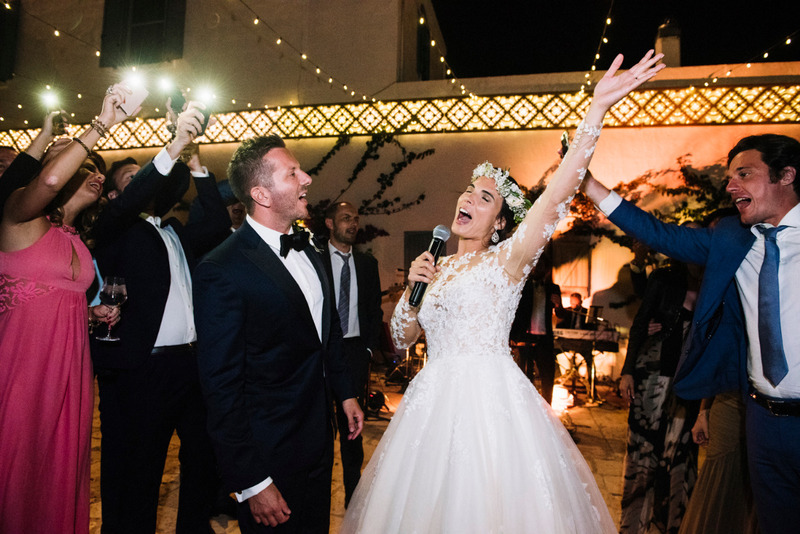 In all honesty, she is one of the best. 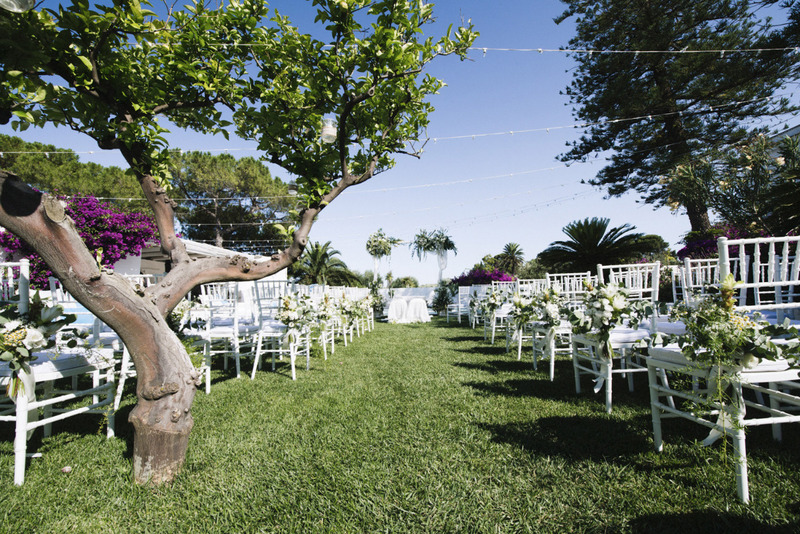 The outdoor civil ceremony was held in the typical nineteenth-century garden, rich in wonderful fragrances and colors. 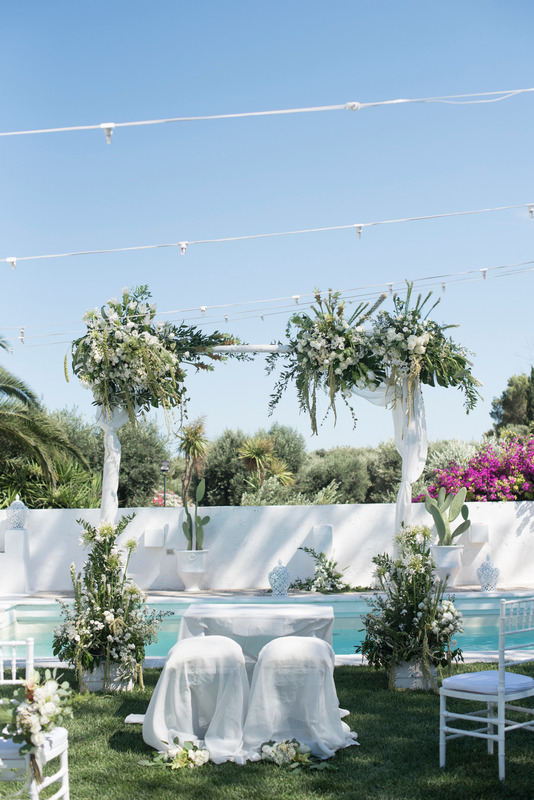 The aromatic plants, roses, cacti, and bougainvillea combined together to create a scented Mediterranean garden. 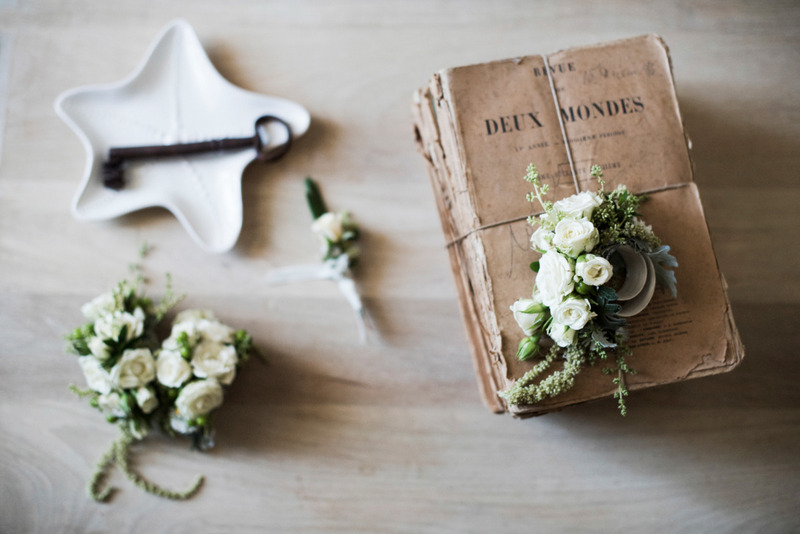 It oozed romance. 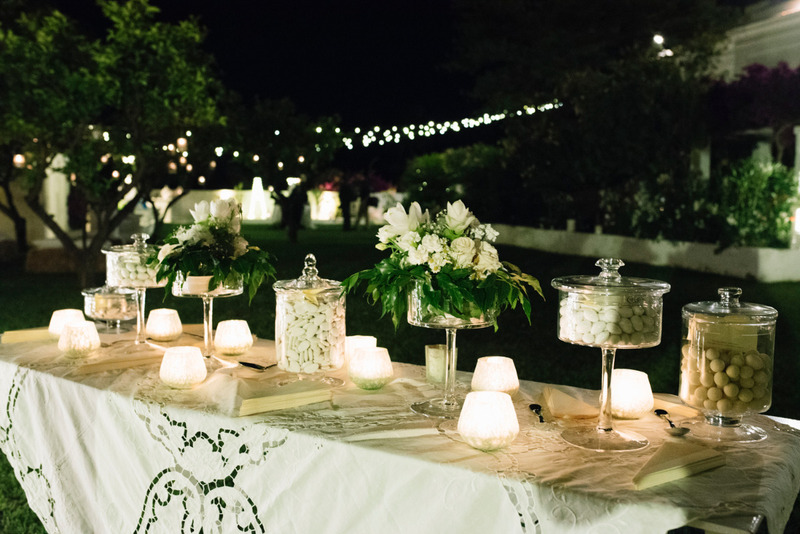 After the ceremony, the happy couple and guests enjoyed dinner under the starry sky. 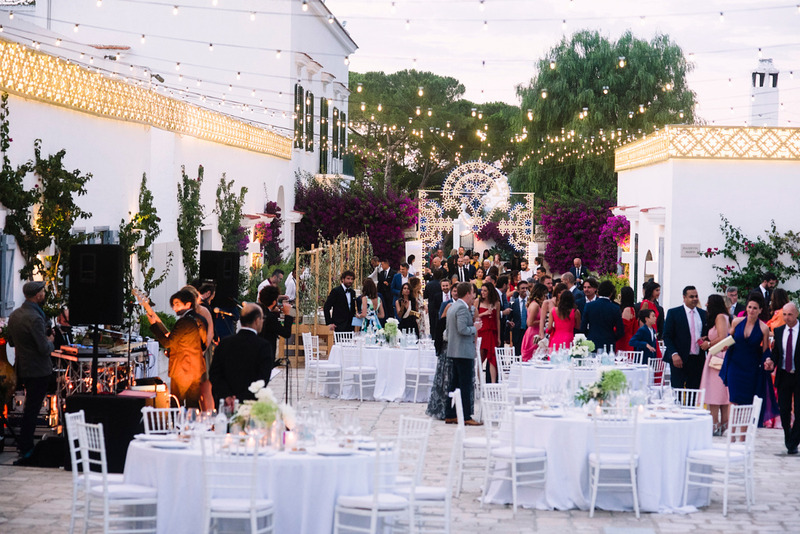 Dining alfresco in the wide courtyard on Midsummer day was unforgettable for the guests coming from all over the globe were delighted with the delicious local food and the live band who rocked until the first glimpse of the sunrise! 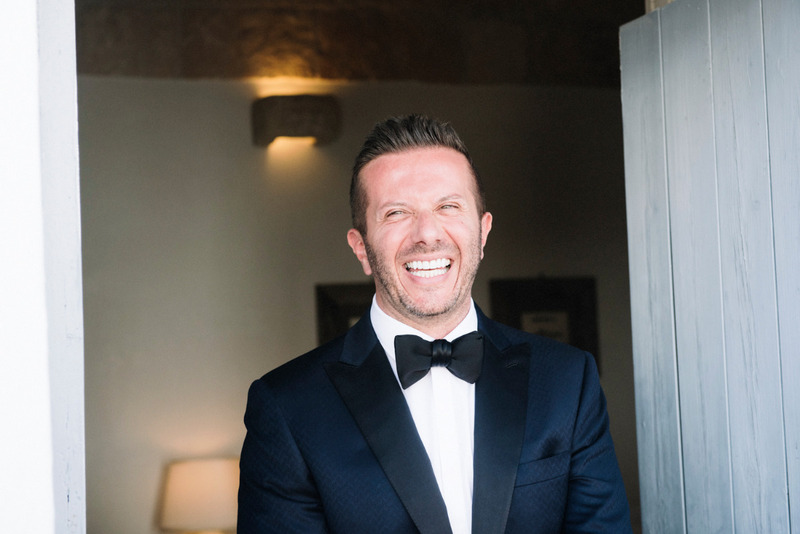 Get a closer look at this laughter filled wedding day with this wedding film by Denis de Luca.